Honda’s ASIMO is, quite simply, the world’s most advanced humanoid robot. And Hope&Glory’s latest client. 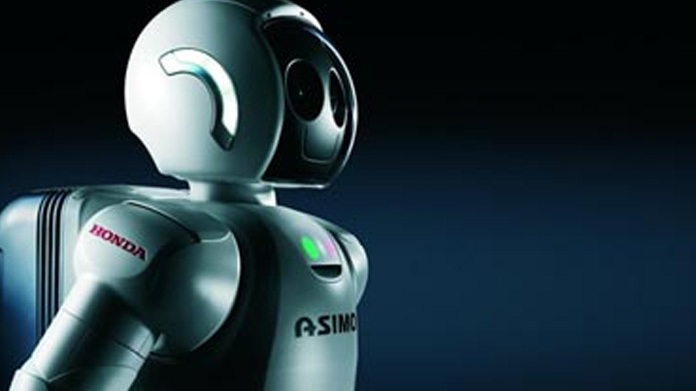 Yes indeed, we are now personal publicists to Asimo himself. Or to put all of that more accurately, we have a brand new client and they are one of the biggest brands in the world. Yes ladies and gentlemen, Honda has joined our client list. To say we’re delighted is, of course, a dramatic understatement. The pan-European brief from Honda Motor Europe will see us supporting their humanoid robotics programme (ASIMO), CSR and also European Motor Sport, including the Intercontinental Rally Challenge. Work starts straight away, so watch this space for updates on all things robotics, racing and rallying from the all-new Honda Motor Europe team.